How a simple tweak to your running form can lead to better results. Do you feel like you are always running into a headwind and you turn up the iPod volume to drown out the pounding on the pavement? 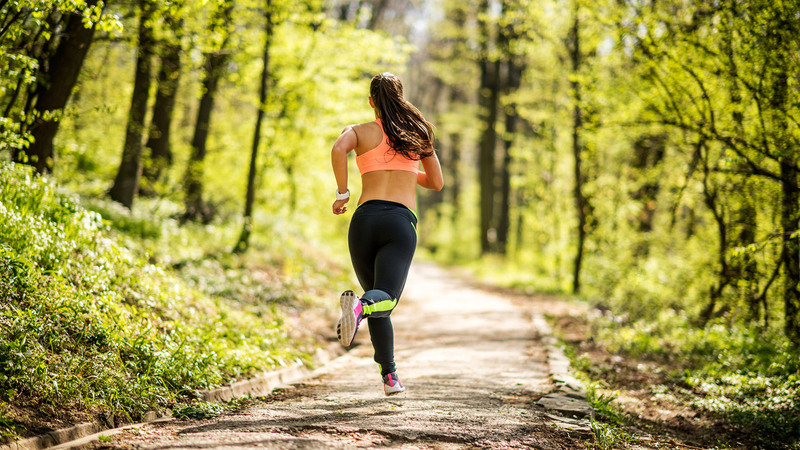 It may be that a conditioning program for your posterior and a tweak to your running style could significantly reduce your collision force with the ground, ultimately enhancing your running experience – and your personal best. It was research led by paleoanthropologist Dr Daniel Lieberman, published in a 2010 volume of Nature, that identified the potential shortcomings of the heel strike. This study found an additional peak collision force for those who ran with first contact at the heel, compared to those who made first contact with their forefoot. It is clinically evident that, when performed accurately, the mechanics of a forefoot strike engage the posterior muscles. This can ultimately increase running efficiency, speed, muscle recruitment and endurance. However, because a rearfoot strike is second nature to most of us, the unique characteristics of a forefoot strike needs to be learnt and safely adopted with progressive training. "The crucial element to a forefoot strike technique is striking the ground under the hips, not placing the forefoot in front of the body." The crucial element to a forefoot strike technique is striking the ground under the hips, not placing the forefoot in front of the body. 1. Run on the spot where automatically the strike zone is under the hips. Strike with the forefoot, descend the heel towards the ground, then shift weight back onto the ball of the foot for push off. 2. To move forwards, shift the body’s centre of mass forwards to the point of free fall. This is much like making a ‘Leaning Tower of Pisa’ angle, tilting forwards from the ankles (not bending at the hips). 3. Strike the ground under the waist and maintain a short stride. This requires a higher cadence (more steps per minute) compared with the long stride of a heel strike. To accommodate for the varied biomechanical load associated with running with a higher cadence in a foreign technique, a conditioning program is required six weeks prior to implementing the new technique. Seek professional guidance to develop a progressive conditioning program including gluteal, hamstring and calf muscles to ensure your posterior is adequately strengthened to avoid overuse injury during the technique transition. There is no need to wear a minimalist running shoe when undertaking a forefoot technique, particularly in the initial phases of training. Ideally a ‘tracer’ shoe (6-10 mm heel-to-toe gradient) is worn to allow for forefoot strike without risking injury if alternating between a rearfoot and forefoot strike. Barefoot or minimalist shoes (0-6 mm heel pitch) require the maintenance of a strict forefoot strike technique and sound body conditioning in order to avoid injury. See a specialist running shoe store for further advice. If you are looking to improve your running, boost your posterior and reduce the likelihood of injury, then transitioning to a forefoot technique may be suitable for you. If you have a history of heel pain, shin splints and stress fractures, this technique may be particularly beneficial for you. Likewise, if you have existing forefoot pain or have had advice not to run, please seek specialist advice before commencing. Consulting with a running specialist will ensure a personalised strengthening program, appropriate technique and training habits.